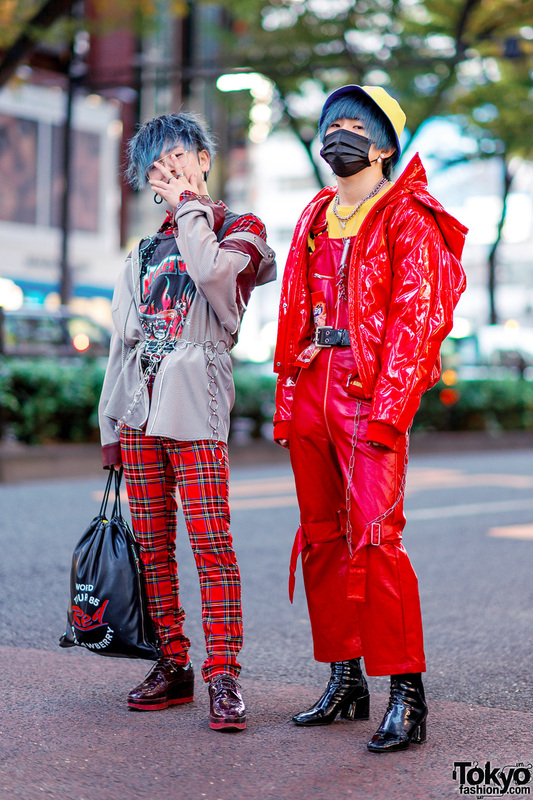 Japanese model dressed in an orange and black streetwear style in Harajuku. 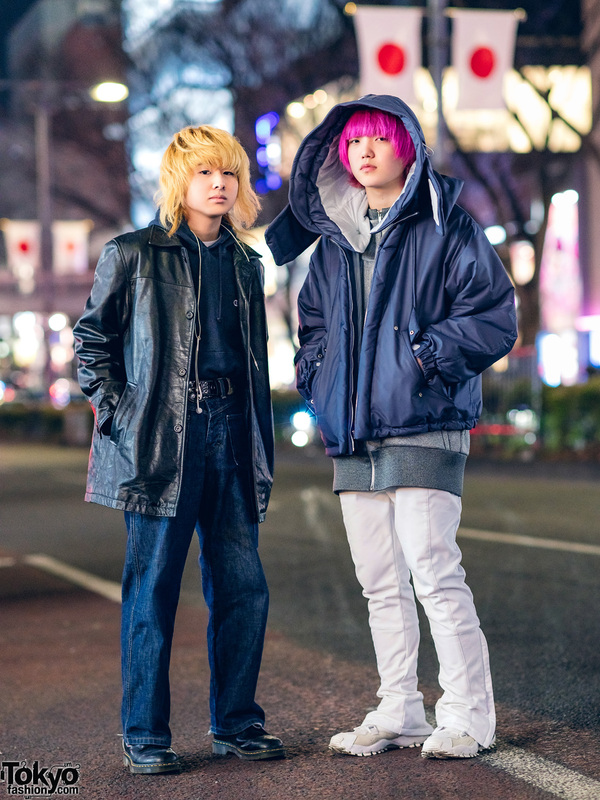 Pink-haired student wearing a purple hooded jacket, white pants, and white sneakers in Harajuku. 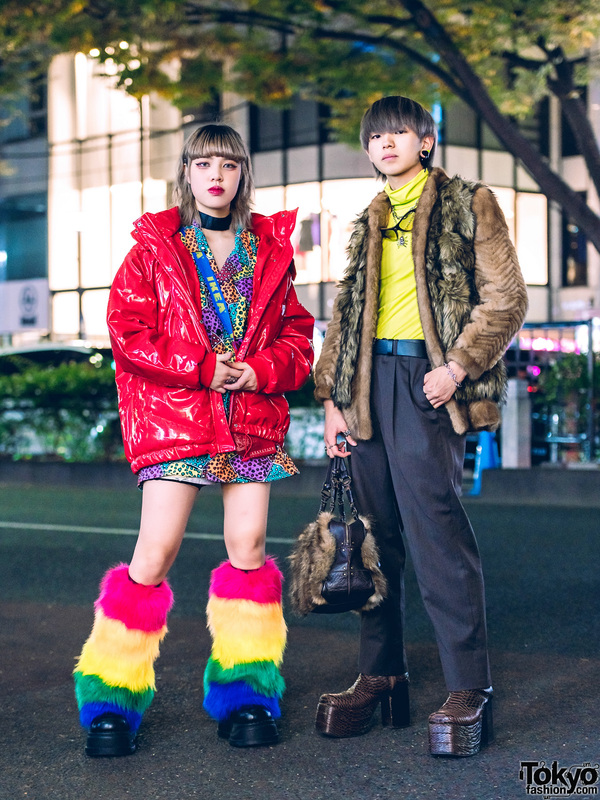 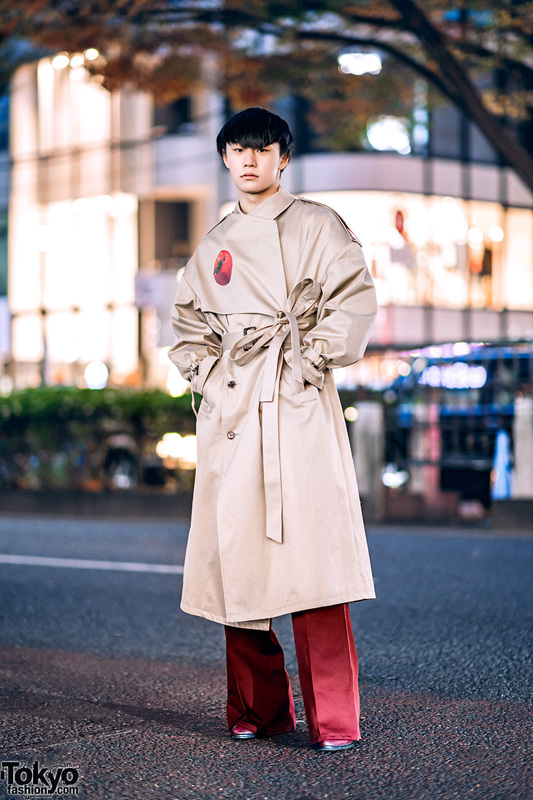 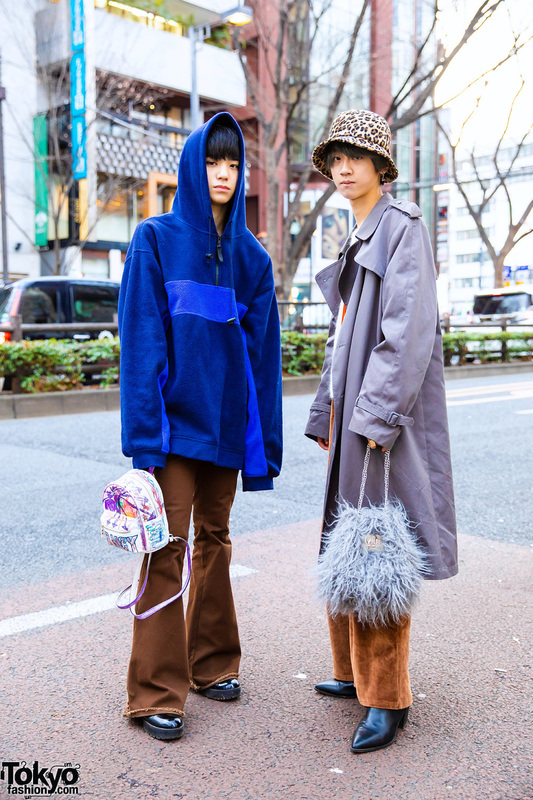 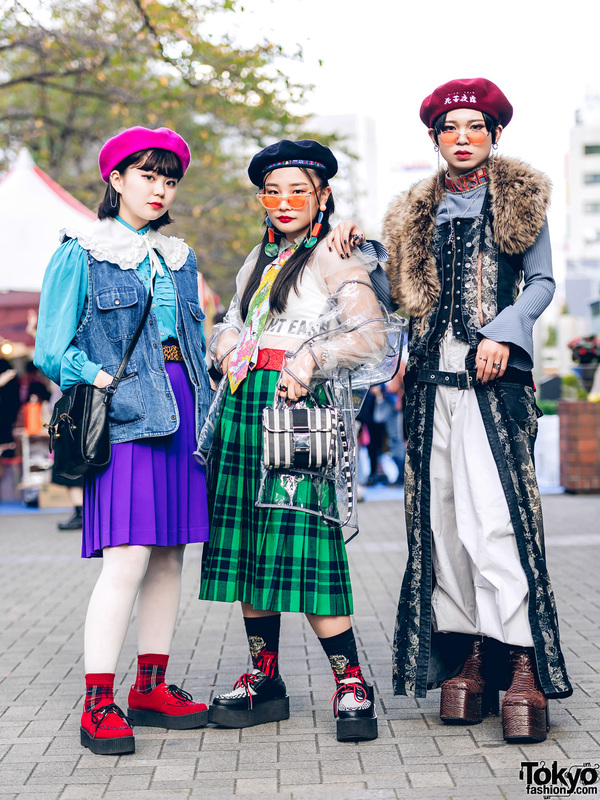 Harajuku student wearing a belted trench coat, flared pants and pointy shoes on the street.